Since Wednesday, July 15, is the memorial for St. Bonaventure in the Roman Catholic Liturgical Calendar, I found it quite fitting to share with you two of the Marian Prayers of the Seraphic Doctor. Along with St. Anthony of Padua, he is one of the greatest Franciscan minds and a Doctor of the Church. Like so many of the saints before and after him, St. Bonaventure had a great love, devotion, and prayer life that was associated with the Blessed Virgin Mary. As you will see in the months ahead, and in previous posts on this blog already, many of the great saints had written their own prayers specifically directed towards the Blessed Mother. They knew how important her role was in Salvation History, which continues through the Catholic Church to this day. As I often do in many of my posts, I have given links to other blog posts that will lead you to understand theological ideas in these prayers by St. Bonaventure. 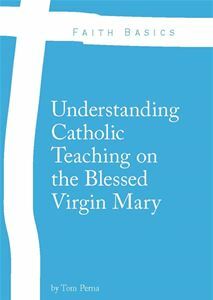 It’s my hope that you will not only read this post, but also read the links as well in order to give yourself a better understanding of Marian theology completely. O my Queen, help me, and deliver me from all the snares of the devil. Obtain for me the grace of loving my Lord Jesus Christ, your Son, with a true and perfect love, and after him, O Mary, to love you with all my heart and above all things. Amen. 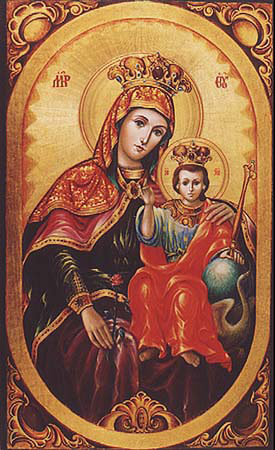 Holy Virgin, I beg of you, when my soul shall depart from my body, be pleased to meet and receive it. Mary, do not refuse me then the grace of being sustained by your sweet presence. Be for me the ladder and the way to heaven, and finally assure me of pardon and eternal rest. Amen. As always, feel free to share with this blog with your family and friends in the hopes that they may come to have a more complete understanding of Our Lord Jesus Christ through His Virgin Mother.